The unsolved homicide of Bernice Courtemanche. 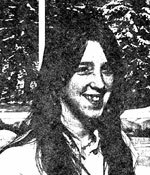 Bernice Courtemanche, age 17, was last seen at approximately 3:30 p.m. on May 30, 1984 in Claremont, NH. She was reported missing the following day. Her skeletal remains were found nearly two years later, on April 19, 1986 just off Cat Hole Hill Road in Newport, NH. She had been stabbed to death.